Many websites use some form of marketing or advertising to reach out to their audiences. An increasingly popular way to attract traffic is the classic PPC campaign, which makes it easy to reach relevant audiences in social media, search and beyond. Separate from that, many other brands use various forms of advertising on their websites themselves. This may be advertising that promotes a select product, contest or service, or it may be advertisements for other brands and businesses as part of an affiliate marketing campaign. Whatever the justification, many ad strategies can do real and lasting damage to your brand’s reputation and SEO. We’ll review some examples that you should avoid at all costs. Overlay ads are actually quite effective at bringing attention to a subject or delivering a call to action. 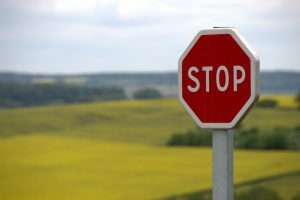 They’re increasingly accepted as the number one way to promote action on a page, but there is a difference between being effective and being invasive. Overlay ads that take up the entire page, for instance, are a huge turn-off for many visitors. Additionally, when you are pinging users with overlay ads that have minimized or hidden “close” options, this can frustrate users and ultimately increase bounce rates. You want to opt for overlay ads that are easily dismissed and do not take up the entire page. They are just as effective – in fact, they’re even more so because they do not drive people away from your website. The use of ads is very much in a tug of war with an inflationary-like dynamic: as more people install ad blocker software, some brands are resorting to the use of more ads on their websites in order to generate revenue. These can be ads directly for their products and services or for other services via AdSense and comparable affiliate programs. Whatever the situation, it is important to remember that excessive ad usage will invariably lead to lower conversion rates and higher bounce rates. Most people view websites that are stuffed with ads as unprofessional in nature. As such, they’ll likely go elsewhere to find what they need. This sends negative indicators to search engines about the quality of your site and can negatively impact SEO. In the quest to generate more impressions, many blogs have opted to use pagination. The most common example of this is a “top 5” or “top 10” list where each result is shown on a different page, in a slideshow like format. This is a real turn-off for many visitors and it is not uncommon to see people griping about this in the comments of the post. Most people understand these days exactly why brands decide to do this, and they do not appreciate the inconvenience coupled with the blatant marketing ploys. As such, you should only be pinging users with ads in a relevant sense that does not inconvenience them or require them to jump through extra hoops to view content. All of these methods can directly or indirectly impact your SEO efforts and directly result in a loss in traffic. You want to avoid these errors – and plenty of others, for that matter – at all cost.